The Sindh cabinet taking a clear cut and historic decision has cancelled illegally allotted 70,000 acres of forest land and approved vacation of 145,245 acres illegally occupied by influential people. Sindh Chief Minster Sued Murad Ali Shah said that the Forest Department would get support of police and Rangers for vacation of 145,245 acres for which he would issue necessary instructions. He was presiding over the cabinet meeting at New Sindh secretariat on Monday. The meeting was attended by Chief Secretary Mumtaz Shah, all provincial ministers, advisors and special assistants. To a question, Forest Minister Syed Nasir Shah said that 13,000 acres had been retrieved from illegal occupants and action was being taken for retrieval of the remaining land. At this the chief minister directed him to start an operation against illegal occupants of the forest land for which he would provide him police and Rangers force. Meanwhile, Energy Minister Imtiaz Shaikh told the cabinet that 757 families living in one kilometer radius of Gorano Dam and Dukkur Chho pond should be considered as affected people apart from those 471 who have been displaced due to development/excavation of Thar Coalfield Block-II. The chief minister said that the affected people have every right to be compensated. The cabinet approved Rs 900 million as donation for Thar Foundation which would be giving Rs 100,000 annually to each and every affected family for the next 30 years. The Thar Foundation would invest the amount and start paying compensation to the affected people. The cabinet also approved compensation of Rs 100,000 to 471 affected families of Thar Block-II. This compensation would be paid by Sindh Engro Coal Mining Company because they were lease holders. Energy Minister Imtiaz Shaikh also presented an item in the cabinet for extension in completion period for Automatic Meters Reading (AMR) system by HESCO and SEPCO. 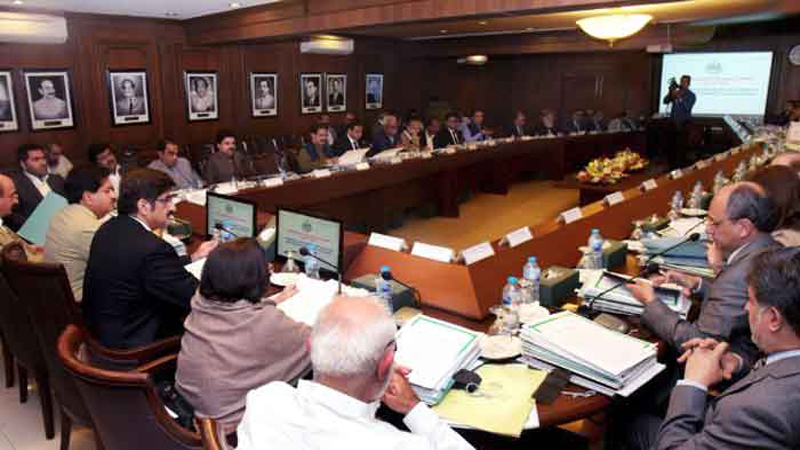 The cabinet was told that the Sindh government under an agreement had paid Rs 27.398 billion to Discos (HESCO Rs 10.228 billion and SEPCO Rs 17.170 billion) to clear all outstanding electricity dues for the period from July 2010-2016. In addition, the monthly agreed amount was also agreed to be paid to HESCO and SEPCO till installation of AMR meters. The meeting was also told that Rs 26.738 billion has been paid to DISCOS, HESCO Rs 12.843 billion and SEPCO Rs 13.895 billion for the period from August 2016 to August 2018. The minister also told the meeting that it was also agreed that DISCOS would install AMR system and the provincial government would bear 50 percent of the total cost. On the intervention of the chief minister, the cabinet approved extension of time to DISCOS to install meters by May 2019 and also released monthly payments of Rs 513.73 million to HESCO and Rs 555.82 million to SEPCO till transferring of billing to AMR system. Separately, Agriculture Minister Ismail Rahu told the cabinet that growers were demanding to increase purchase price of sugarcane as it had been stagnant for the last three years at Rs 182 per 40kg. He added that the government of Punjab had already fixed sugarcane price at Rs 180, and recommended that the price should not be lower than Rs 182 per maund. Published in Daily Times, January 8th 2019.